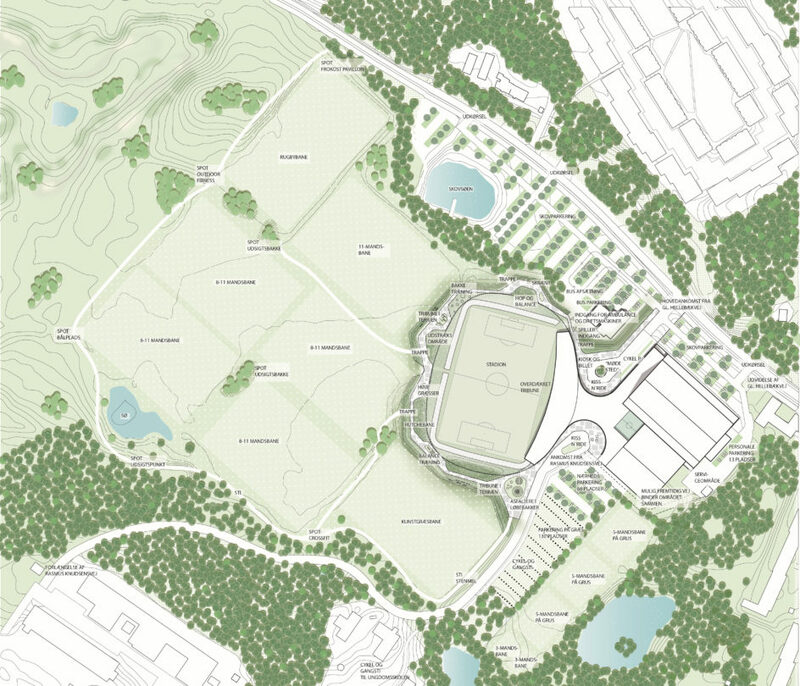 The new stadium in Helsingør is expected to be built 500 meters west from the old one, within the town's largest sports complex. It will have a rare layout with main grandstand in the east rather than west. 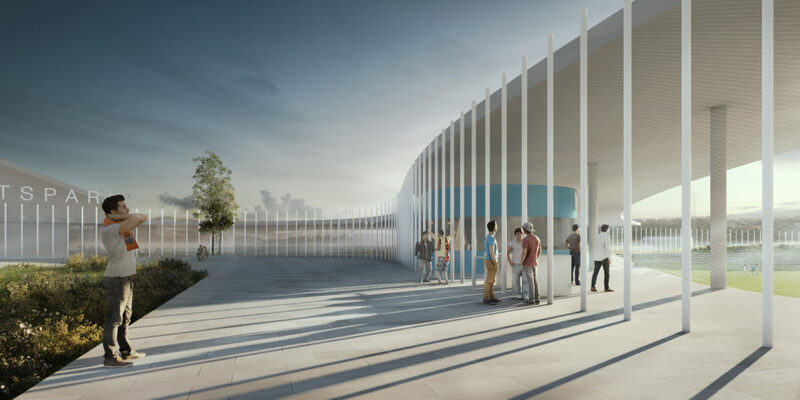 This comes in effort to connect the stadium to existing indoor arena through a spacious pavilion. The east stand itself will hold only 300 seated spectators, however the entire capacity, including standing room, should reach 2,800 with potential for future expansion. 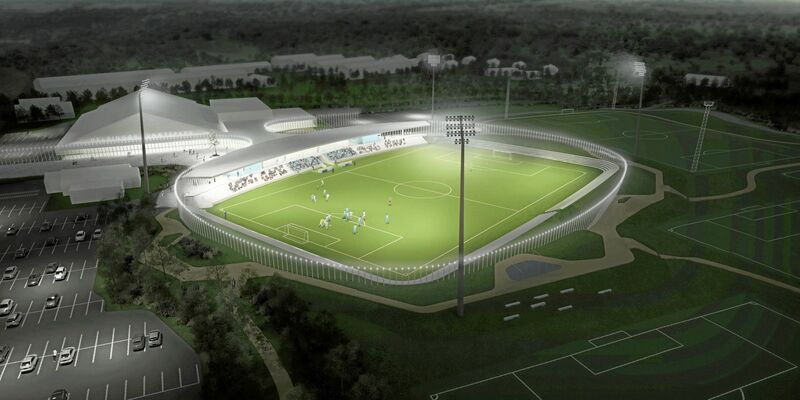 For concerts the stadium, equipped with artificial field, would hold 4,000 people. In order to avoid a fully enclosed stadium and create a friendly environment, a luminous fence was selected to surround the stadium, dividing space both by day and night. 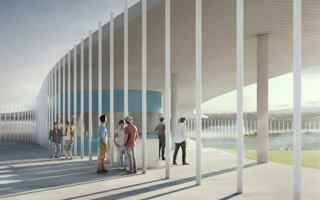 And, because analyses have suggested most fans treat games as family events, the stadium is surrounded with various leisure and playground facilities. 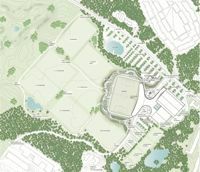 Also, 7 new playing fields will be created, one of them rugby-specific. The complex will be completed by 600 parking spaces.